In the best-selling tradition of A Man Called Ove and the beloved film Love Actually, a quirky, socially awkward man goes on a quest to find his wife a last-minute Christmas gift and encounters several distractions - including bumping into his ex-girlfriend who was the one who got away. 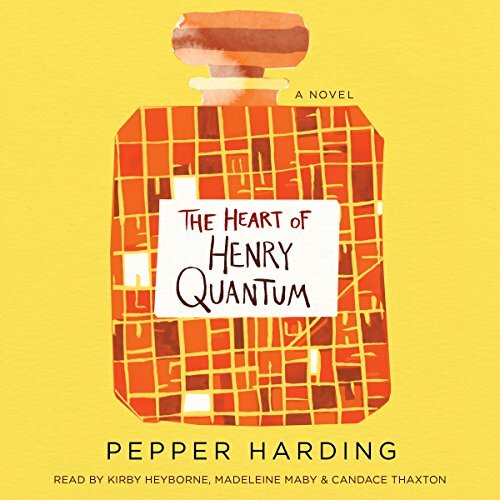 Henry Quantum has several thoughts going through his head at any given time, so it's no surprise when he forgets something very important - specifically, a Christmas gift for his wife, which he realizes on the morning of December 23. Henry sets off that day in search of the perfect present for her: a bottle of Chanel No. 5 perfume. But much like Henry's ever-wandering mind, his quest takes him in different and unexpected directions, including running into the former love of his life, Daisy. His wife, meanwhile, unhappy in her marriage, is hiding a secret of her own. And Daisy, who has made the unsettling choice of leaving her husband to strike out on her own, finds herself questioning whether she and Henry belong together after all. A sweet, funny, and touching debut from author Pepper Harding shows how the seemingly insignificant events of one single day can change our lives forever - perhaps, if we're lucky, for the better.